Got a copy of Old & New Favorites by Special Request (copyright 1947 The Spool Cotton Company, distributors for J&P Coats, Clark's, Chadwick's Red Heart) at a thrift store Saturday. 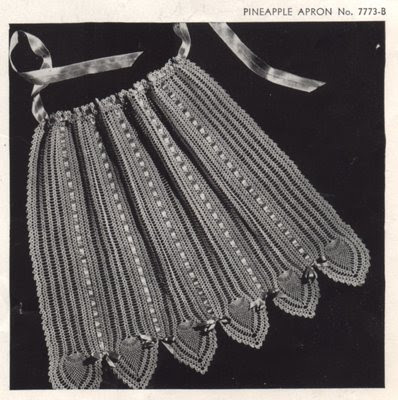 I paid the same price today as the cover price -- a whopping 10 cents! 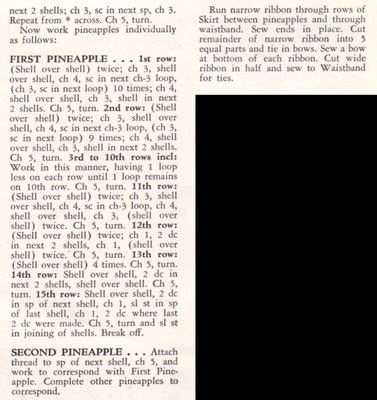 I just had to share the instructions for making this Pineapple Apron (No. 7773-B) with you -- it's just too sweet!